With no prospect of Andy Boat’s truck coming back to life and a rare, unplanned weekend ahead of me, I grabbed my oldest boy and headed north and east. I’d been to lots of desert landscapes before, including eastern Oregon, but I wasn’t prepared for what I saw in eastern Washington. All my travels north of the Columbia River had been in western Washington where it is green, wet, and cloudy more often than not. We followed the Columbia’s banks for scores of miles, then cut north through mountain passes and wide open valleys, rejoining the river in between giant oxbows. 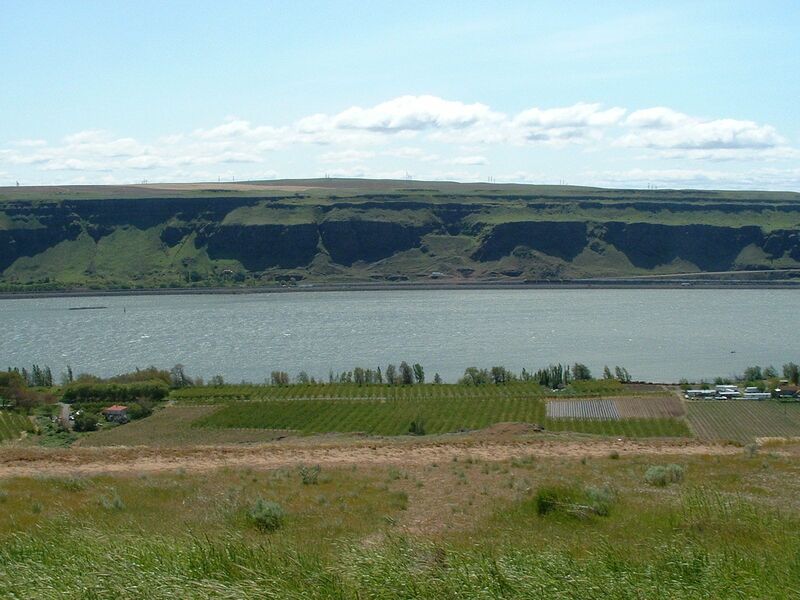 The land gets rockier and more treeless as you head north and east along the Columbia. It looks downright inhospitable as it churns along between tall, rocky cliffs. And while it is beautiful to see the contrast of the water and the hills, it looks wrong. It took me a long time to figure out just what was wrong with it. It wasn’t just the millions of apple trees standing shoulder to shoulder with sagebrush, though that was strange. (They are irrigated with river water.) It wasn’t the motor boats zipping along or even the oversize, tacky vacation homes. You don’t notice it at first, but then the strangeness grows on you like a face with no eyebrows. Then it hits you- there are really no banks along the river- it is just sheer rock. Why? There are about about a dozen dams stretching from Portland all the way to Canada backing up water for 20 or more miles a piece. The actual shore is submerged someplace. Water laps on the face of cliffs and whatever forest was there before has no place to grow now. Someday perhaps we’ll sail through, but today we’ve got a sailboat to get, so on and on we drive. The landscape is unnatural, but well suited for small boat sailing.